Product code: 564 Categories: Sold Items, Sold Jewellery. Aquamarines are so popular at the moment, and here is one that is sure to delight and impress. 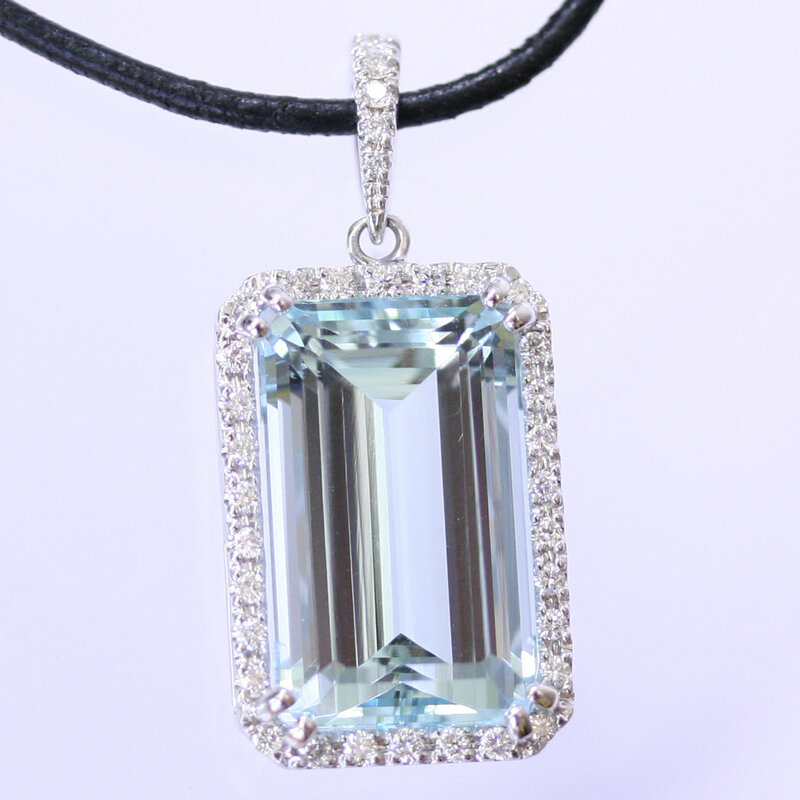 Set in 18ct white gold and surrounded by diamonds, this aquamarine measures 4.89cts, and is cut in a pear cut. The size of the piece makes it perfect for day or night, and the white gold and diamonds just enhance the piece so much more.